I had an interesting watch this morning. Just crawled out of bed, rocking and rolling getting ready. I even put my second thermals on, checked the log to see what was happening. clipped on before leaving the saloon, and clipped on behind the wheel. Just sitting down, put my leg up for stability and a wave came across the boat. Didn’t see it or hear it. For a fraction of a second, my whole body was under water, and it was only my leg stopping me going out of the side, and hopefully my tether would have stopped me going over completely. I actually had a mouth full of sea water which was novel. Nikolai thought it was hilarious. I’m just very pleased it was me and not one of the lighter ladies. 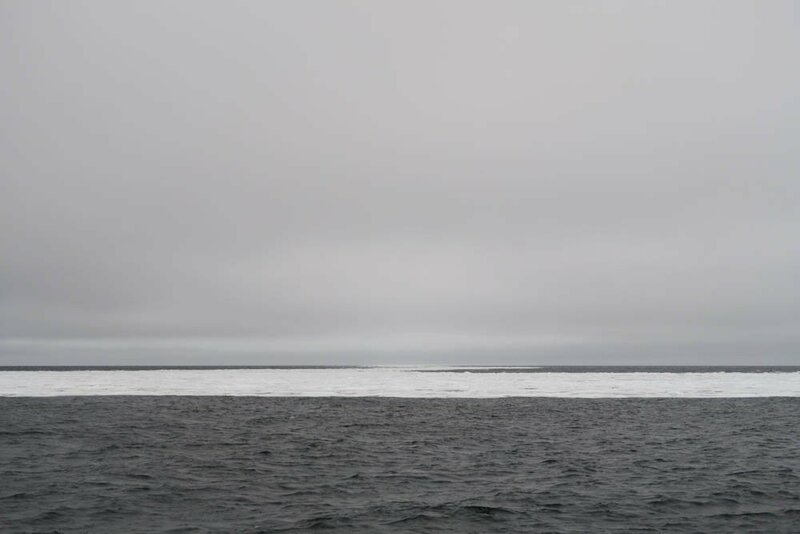 All in all it doesn’t look as though Northabout’s crew will beaming videos back to us from the Laptev Sea over the next few days, but never say “never” in the Arctic! N76 20 E083 28 Pressure 998 water temp 4 outside temp 5 cloud 6/8 sea state 3 winds 15 knots. Making steady progress east. I always love it when we click over degree of longitude. Of course, they are pretty close together up here. ( I have been dreaming of the 180 long), for weeks. The winds will slowly take us north east today and tomorrow. Hopefully find our island with the Palm trees and wait for the Ice to break up. Looking forward to seeing an Ice update today and see if this storm has changed anything. Fingers crossed. 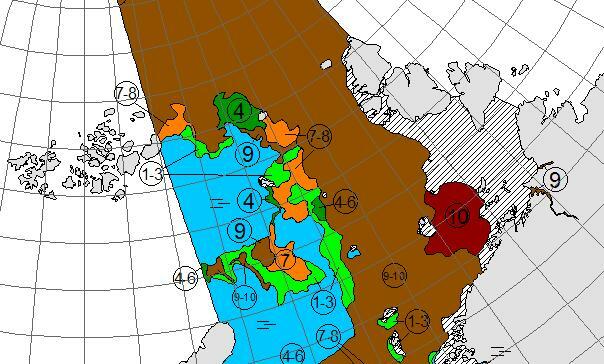 Today’s sea ice update is that concentration in the Nordenskiöld Archipelago and Vilkitsky Strait seems to be falling fast. Visual confirmation of that is eagerly awaited. Making steady progress East. 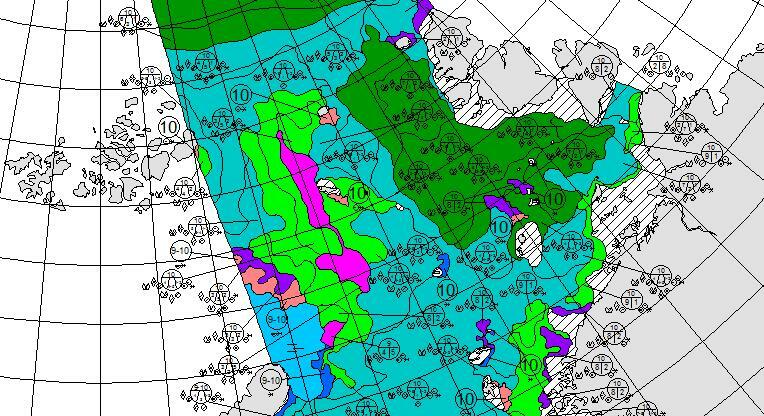 We had the latest ice charts for the Vilkitskogo straight. Still blocked and the Laptev still blocked, but big changes from the last set of charts, and encouraging. Nikolai and Dennis are having bets. Nikolai thinks it will be free on his birthday, the 9th Aug, and Dennis on his, 6th Aug . Either way, would mean a few days rest. We are heading for a small sheltered Island. Different to the first choice, as the ice from the North has come down and blocked it, so trying for another Island closer to shore and closer to the straight. So if anything dramatic changed quickly, we would be close to react. Ie, A strong southerly taking the ice from the shore. Saw our first ICE today on my watch, just an hour ago. What is slightly worrying, it didn’t show up on the Radar. 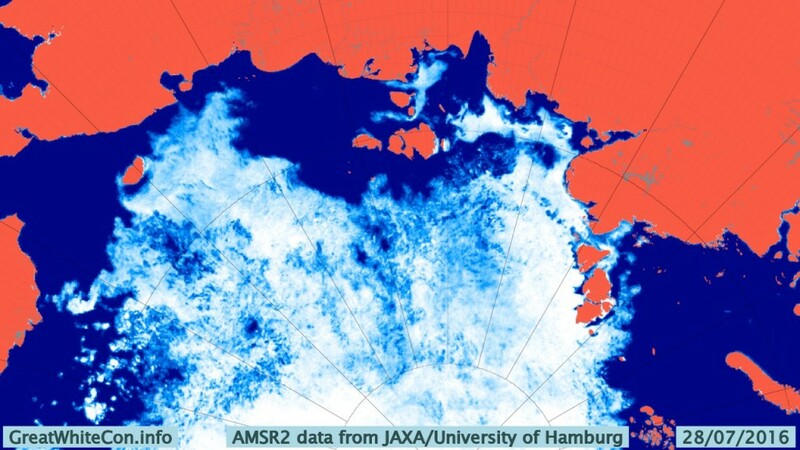 It’s probably good for the big icebergs, but not low ice in the water. I think we will see a lot more of that before the trip is out. You can’t beat that old eyeball. Anchored! 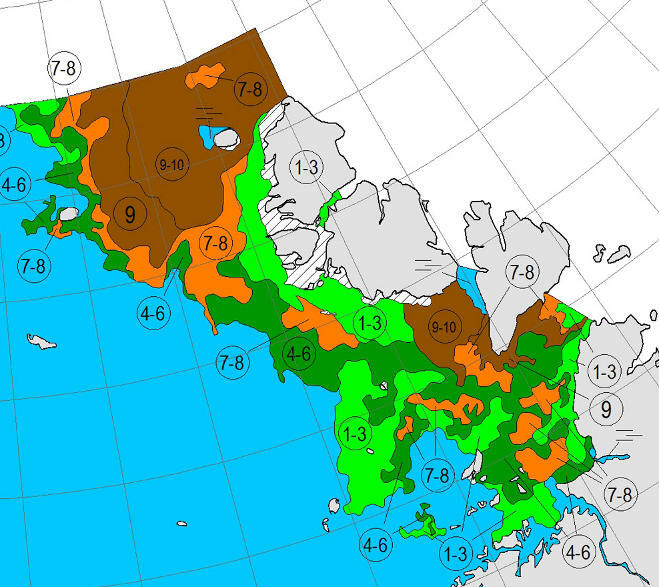 for rest repairs and to wait for favourable ice conditions in the NE passage and for the new ice charts. Proper shipslog update coming later with some photos (which take ages to upload) But for now we’re getting a bit of a rest & having a cuppa. 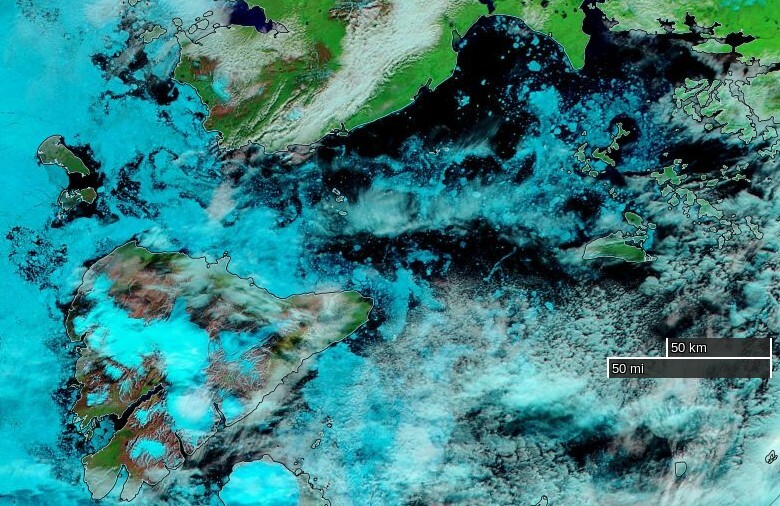 On “true colour” images sea ice looks white, and so do clouds. 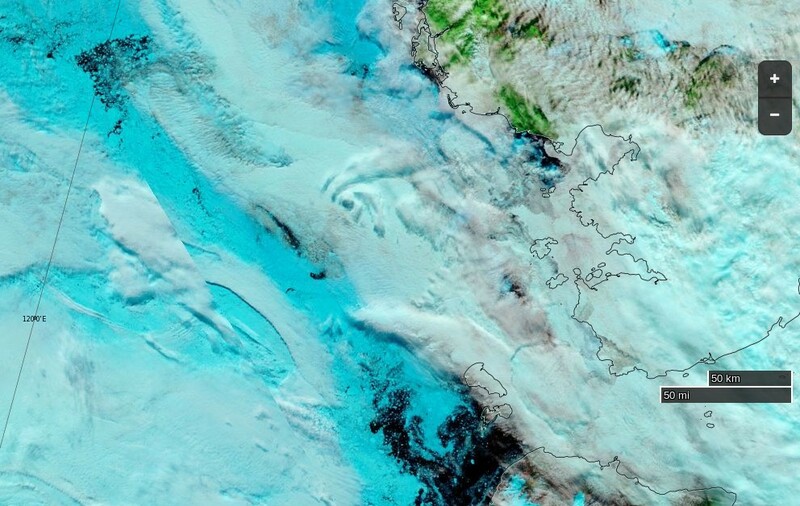 Using a different set of wavelengths reveals the ice in pale blue, with the clouds still white. Northabout remains anchored, and it’s easy to see why! Whilst at anchor we have a respite from our normal watch routine and it is replaced with Anchor Watch, which is an hour and half slot, mine is from 12.30am to 2am. The other crew and Northabout are in a deep slumber, perfect quiet interspersed with gentle snoring from contented crew! Last night was an exception, as the wind picked up and changed direction, resulting in some bits of drifting ice coming into the bay, ‘crashing’ into the boat at about 4am, giving all the crew an alarming wake up call. There was no danger, it was simply the deafening noise of ice and aluminium in the still of the night! Dennis was soon on the job with the ice poles, keeping all at bay! 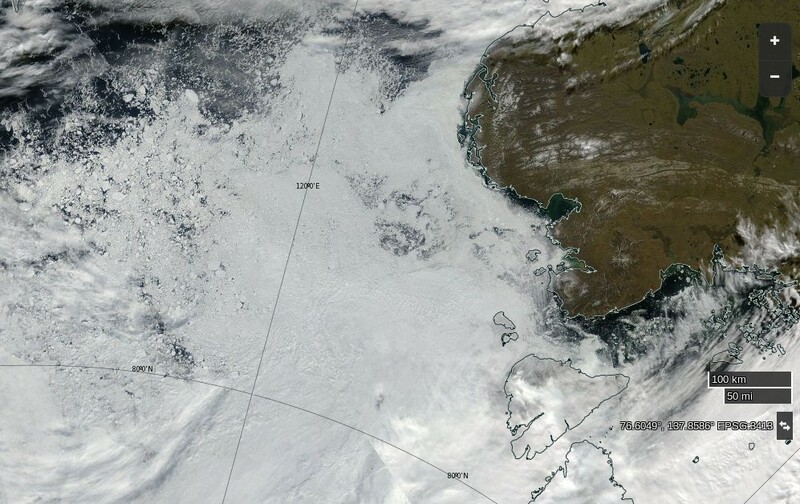 but there’s still no obvious way through to the East Siberian Sea that I can see. 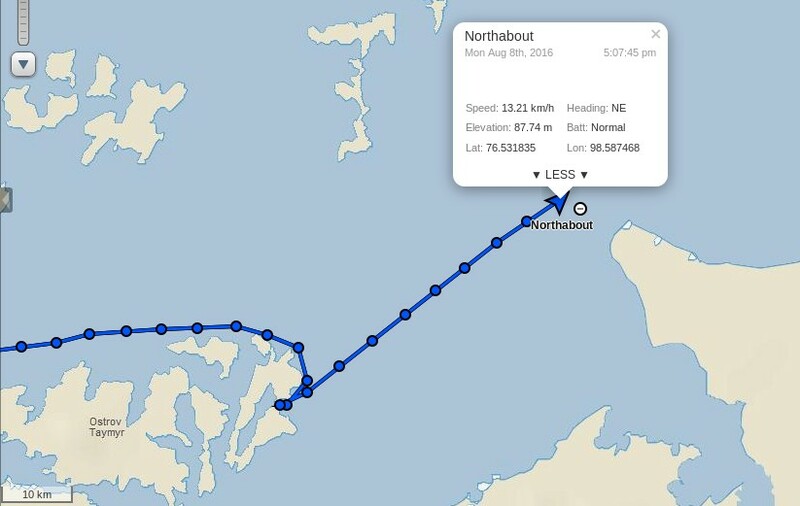 Northabout has just rounded Cape Chelyuskin and is now heading into the Laptev Sea! 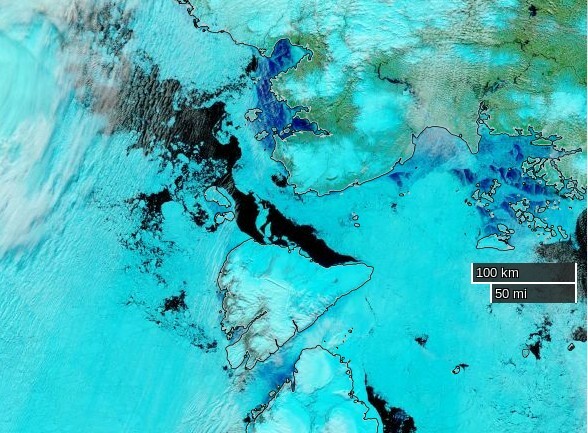 A navigable strip does seem to be opening up around the coast, but there’s still a stubborn patch of 9/10 concentration sea ice blocking Northabout’s way. 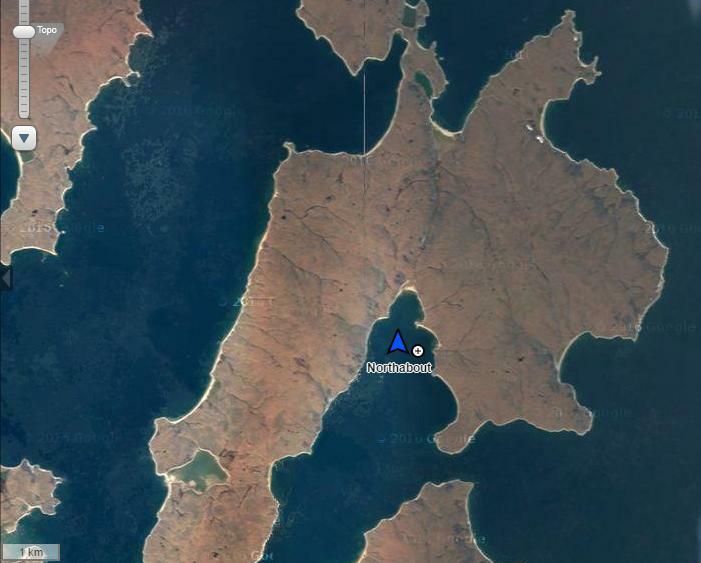 At 12:30 BST (11:30 UTC/GMT ; 07:30 EDT) on the 30th July, Northabout was approximately 110 kms away from the western edge of Ostrov Taymyr, the large island located in the coastal area of the Nordenskiöld Archipelago. Even if the ship manages to travel in a dead straight line, more than 400 kms separates its present position from the far end of the Vilkitsky Strait and the entrance to the Laptev. Given near-optimum conditions, that’s still at least a couple of days sailing. 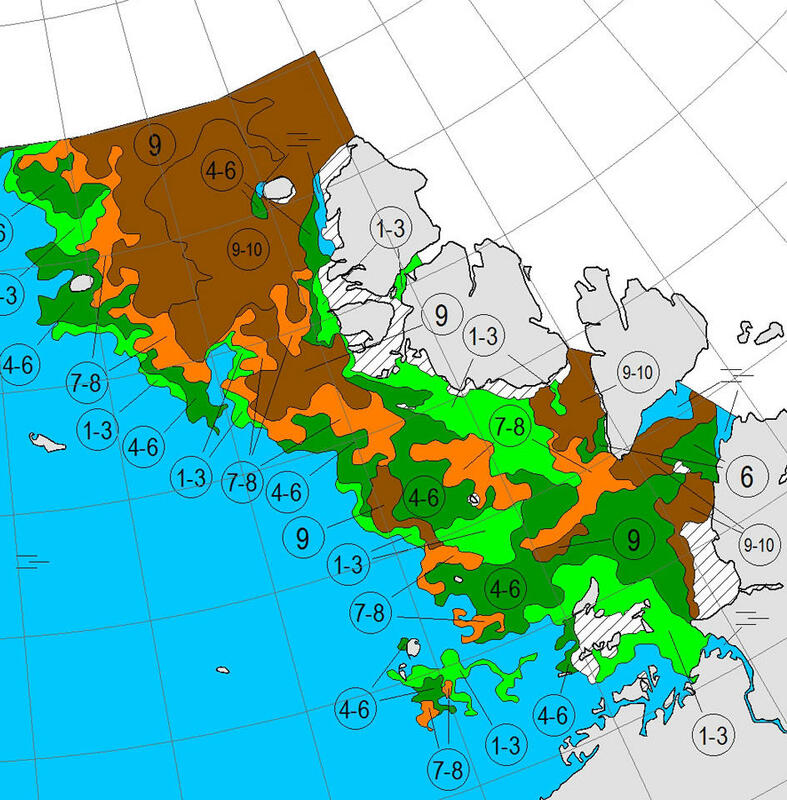 No prizes for guessing whether the sea ice will be growing or receding during the intervening period. Perhaps Malice in Blunderland thinks that Northabout secretly has a Saturn 5 hidden beneath the Plimsoll line and that it will be entering the Laptev any minute now. We should have a small nuclear reactor on board. which would seem to imply that in actual fact they do not. If I knew they needed one I could have lent them mine. 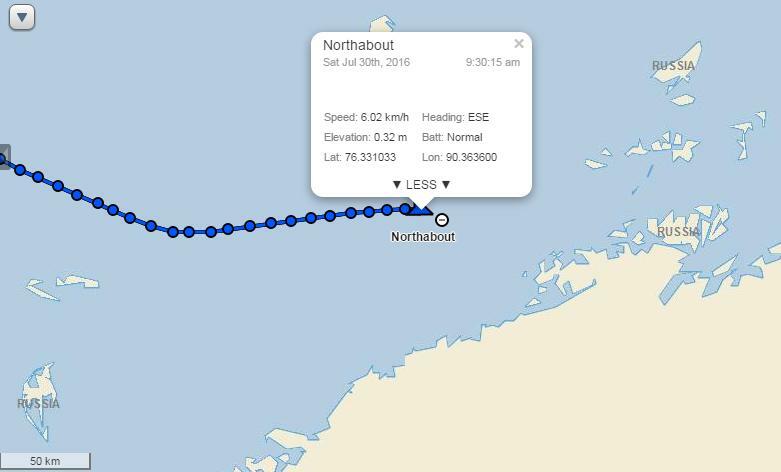 Thanks for the heads up, since as you can probably surmise from my latest update I wasn’t anticipating a continuation of Northabout’s voyage just yet, and there’s no announcement on the Polar Ocean Challenge web site or Twitter feed as yet. Jim, congrats on GWC getting mentioned on the Polar Challenge home page! 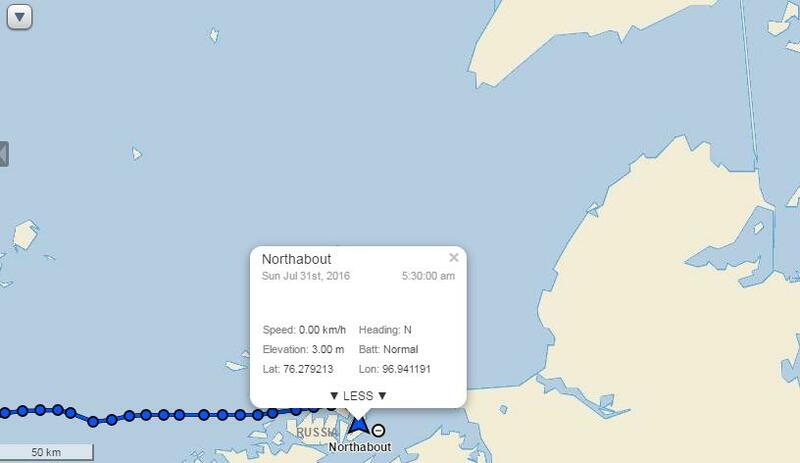 It looks as if Northabout is currently about 40 kms away from the most northerly point on any continental land mass. 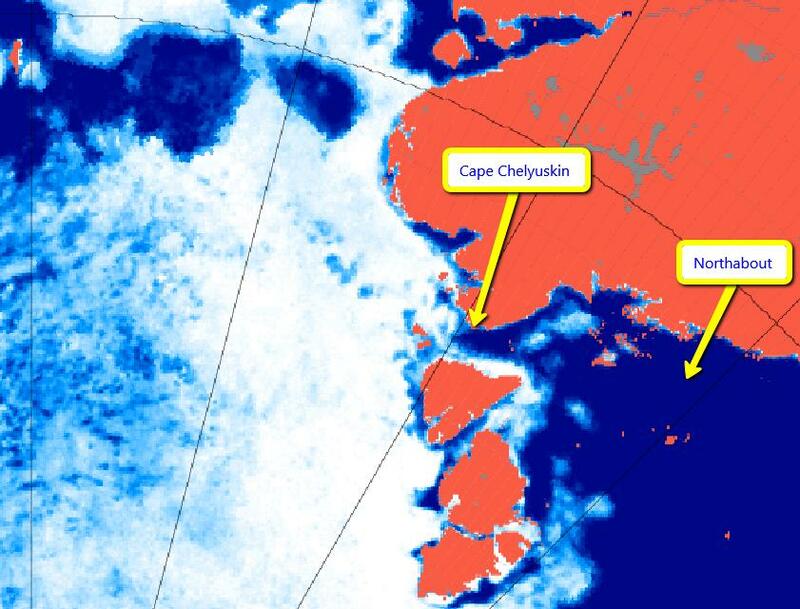 If the present speed (~11 kms/hr) and bearing (~ NE) continue, she’ll pass Cape Chelyuskin at around 6:00 pm BST. 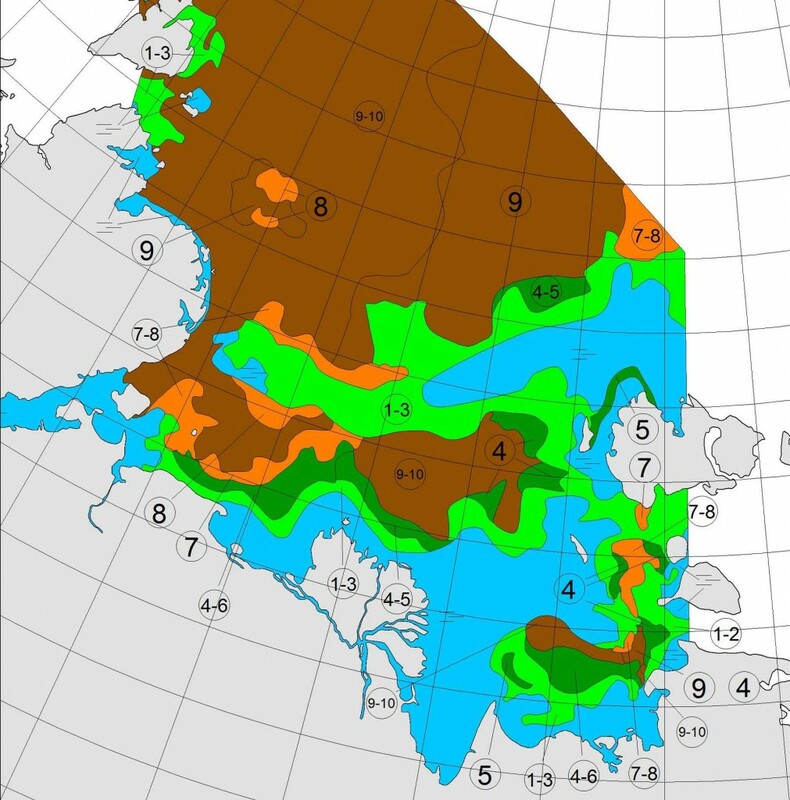 It will be interesting to see if the anticipated winds from the south have already opened a path into the (relatively) ice free part of the Laptev, or whether there will be some more hanging around in a cove. Russian maps predict an opening on the 11. However, a small patch of 9-10 stay glued to the coast in these projections. According to the latest map I can see, there is still fast ice on the eastern shore of Ostrov Severnyy – the little one, not the one in Novaya Zemlya. 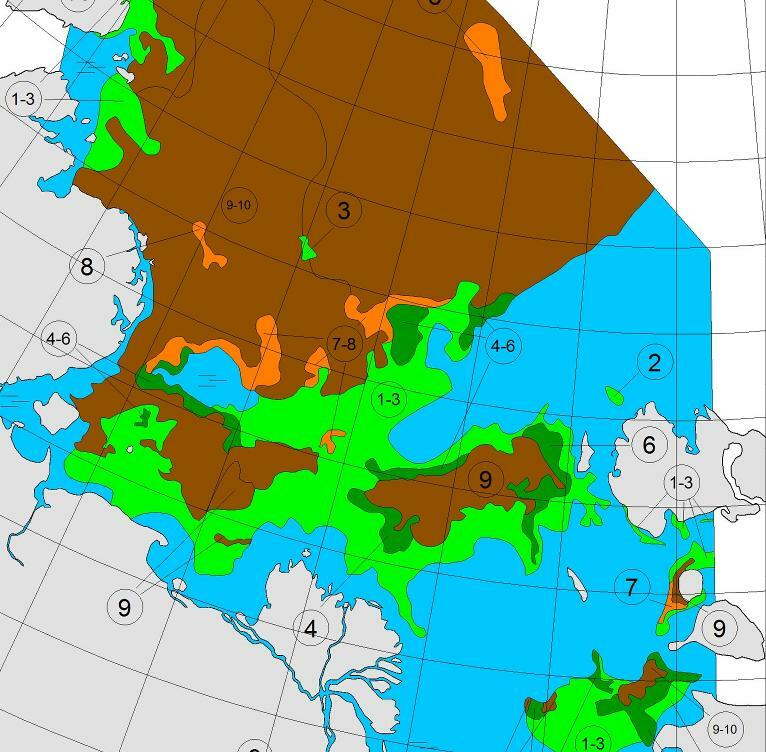 In the next hour, we should learn if this fast ice has cleared, or if Northabout is going to try to squeeze between the island and the eastern flank of the Taymyr Peninsula. I’d hazard a guess that you haven’t seen my latest article about Northabout Bill? Northabout has made it to the back of Ostrov Severnyy, probably to wait out the storm. It seems like they have clear sailing in front of them. Their next tricky decision is when to venture out from their shelter and follow in the wake of 2016’s “Great Arctic Cyclone“. Depending on the damage the cyclone causes in the western Laptev they might find themselves with more than one route to choose from. A couple of days ago, I mused over whether Northabout would eventually try to squeeze between Ostrov Severnyy and the Taymyr, or if she would retrace and go around the top – it looks like it was the latter. 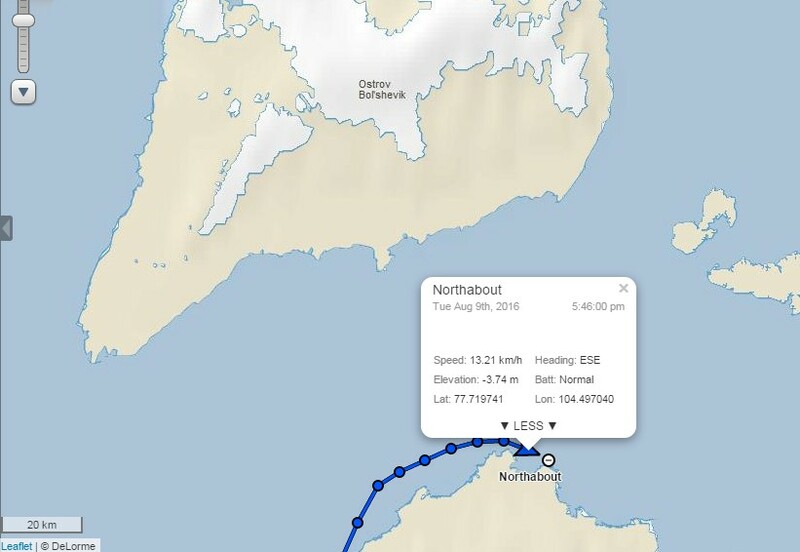 Given the location of that 974, Northabout’s progress should now be assisted by following winds. However, as you say, we don’t yet know where GAC16 is going to leave miscellaneous chunks of ice. The cyclone is now down to 970 hPa, and Northabout seems to be past the worst of the ice, and is currently heading south at a rate of knots. The latest (9th Aug ???) 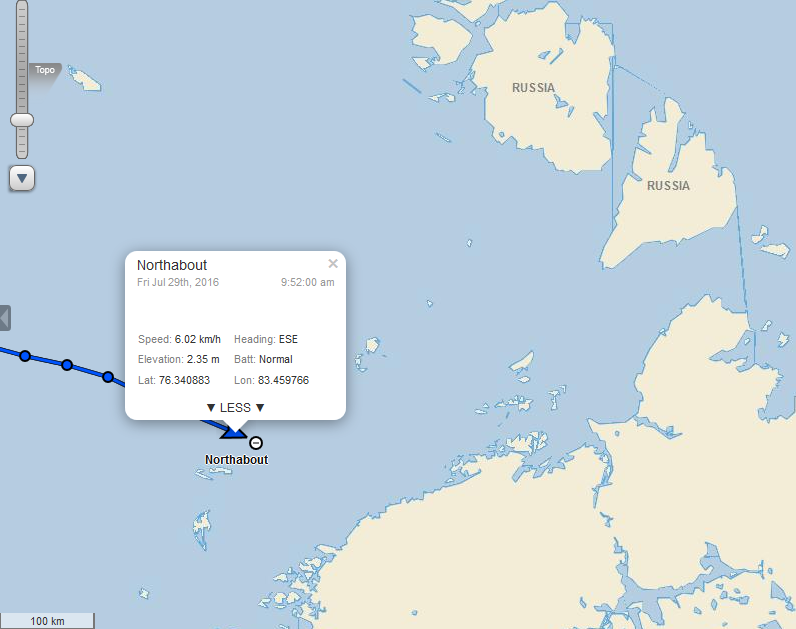 Northern Sea Route Administration ice maps shown on the Polar Challenge website show some 9-10 stuff against the north east shores of Ostrov Bolshoi Begichev. The current (07:33 16th Aug) heading for Northabout is SSW. That’s just about the optimum course heading to loop around the west of Bolshoi Begichev. I wonder if that is what shall happen, or if there will soon be a course adjustment to a more easterly direction. Having examined MODIS recently my money’s on east at the moment!